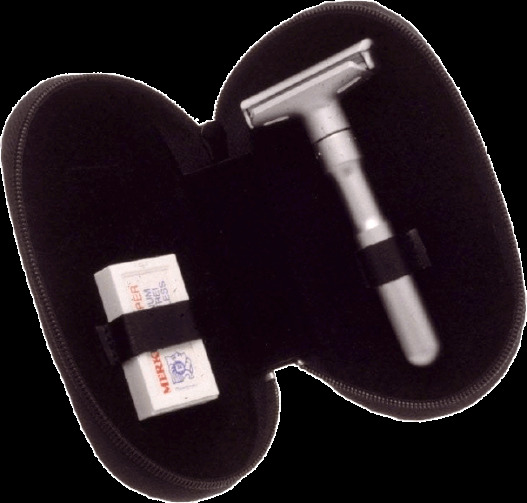 Zipper closure leather case comes with Merkur #70 Adjustable Safety Razor and a 10 pack of Merkur DE blades. Great for travel. Made in Germany.